After losing his wife, Fred feels disturbed, confused and alone, so his daughter helps move him into a small apartment where he meets Elsa. From that moment on, everything changes. Elsa bursts into Fred s life like a whirlwind, determined to teach him that the time he has left to live be it more or less is precious and that he should enjoy it as he pleases. Although both Christopher Plummer and Shirley MacLaine began their acting careers in the 1950s, they didn’t work together until 2007’s Closing the Ring. Perhaps in an attempt to make up for lost time, they partner again for 2014’s Elsa & Fred. Normally I write my own plot synopses, but for this one, I’m going to feature the blurb on the Blu-ray’s back cover – I’ll explain why later. “Elsa & Fred is the story of two people who, at the end of the road, discover that it’s never too late to love. After losing his wife, Fred Barcroft (Plummer) feels disturbed, confused and alone, so his daughter Lydia (Marcia Gay Harden) moves him into a small apartment where he meets Elsa Hayes (MacLaine). Why did I decide to use that cover text instead of my own synopsis? Because I wanted to illustrate the movie’s potential pitfalls. Based on the overview, one might expect Elsa to offer a piece of sentimental claptrap that hits on all the clichés beaten to death by Cocoon and every other movie that follows these elderly-related theme. Unfortunately, the Blu-ray’s synopsis gives us an excellent idea of what to expect, as Elsa delivers exactly the stale, trite experience the blurb promises. Not a single original moment emerges here, as we get predictable, tired characters and situations from start to finish. I knew I was in for a long night during Elsa’s introduction. The film presents her as the standard sassy old lady without a care in the world. She crashes her car into another but doesn’t bother to do anything about it, and as she motors away, she boogies down to hip-hop music. I couldn’t stand that claptrap decades ago when Harold and Maude did it, and the conceit hasn’t improved with age. 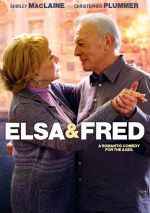 Elsa lacks the “May/December” gimmick of Harold, but it shares the “impish old lady teaches morbid man to live” scenario – it simply matches the partners in age. That means the movie can’t even create anything vaguely novel. Like Harold, Elsa tends to present sleazy behavior as cute and charming – as long as some wacky old lady does it. As I mentioned, Elsa cheerfully damages others’ vehicles and lies to try to get out of it. She also encourages Fred to “dine and dash” after they have an expensive meal. I didn’t understand why lying and cheating were intended to be adorable and admirable in Harold and Elsa doesn’t change my mind. Like the earlier “classic”, Elsa doesn’t even bother to attempt to convince us that there’s some form of moral rectitude behind Elsa’s reckless, cavalier behavior. What did the folks at the restaurant do to deserve to be stiffed? Nothing, but heck, it’s all fun and games when Wacky Granny does it! At their ages, Plummer and MacLaine deserve better. Actually, at any age, no one should find themselves stuck in such idiocy; it just seems sadder when two legends wind up submerged in nonsense like this. MacLaine and Plummer do almost sort of kind of partially threaten to redeem Elsa. I’ve never been wild about MacLaine, but she brings more honesty to the one-dimensional Elsa than the role deserves, and Plummer contributes verve and sparkle to his role. We also find a pretty strong supporting cast, though they come across less well. With limited screen time, none of the other performers manage to do anything memorable with the parts. I can’t say they harm the film – that’d be impossible – but they don’t add much. I don’t blame the actors for that, though, as it’d take multiple miracles for the performers to “fix” Elsa & Fred. Packed with clichés and banality, the movie wastes a talented cast and turns into stale tripe. Elsa & Fred appears in an aspect ratio of approximately 2.35:1 on this Blu-ray Disc. This was a consistently pleasing presentation. Overall sharpness seemed solid. A couple of wide shots looked a smidgen soft, but those were the exception to the rule, as the majority of the flick was accurate and detailed. No issues with jagged edges or shimmering occurred, and I noticed no edge haloes. Source flaws were absent, as the movie looked consistently clean. Like most films of this sort, Elsa gave us an amber-tinted palette. Other hues appeared, but the golden feel dominated. Within those parameters, the hues were positive. Blacks seemed deep and dark, while shadows showed good smoothness and clarity. I felt happy with the transfer. As for the Dolby TrueHD 5.1 soundtrack of Elsa, it lacked a ton of ambition. The soundfield focused on music and ambience, though it opened up on occasion. For instance, street scenes became a little more involving. Nothing especially memorable occurred, though. Audio quality was fine. Speech seemed natural and concise, without edginess or other issues. Music offered good clarity and range, and effects worked well enough. They didn’t have much to do, but they appeared reasonably accurate. All of this ended up as a perfectly satisfactory soundtrack for this sort of movie. In terms of extras, we find a Making of featurette. This piece runs 18 minutes, 51 seconds and includes comments from director/co-writer Michael Radford, producer Ed Saxon, cinematographer Mike McDonough, and actors Marcia Gay Harden, Erika Alexander, James Brolin, Scott Bakula, Christopher Plummer, Shirley MacLaine, Jamie Camil, and Chris Noth. The program looks at the project’s roots and path to the screen, story and character areas, cast and performances, cinematography, Radford’s impact on the production, and shooting in New Orleans. A handful of good notes emerge, but much of the piece focuses on general thoughts without much depth. The disc opens with ads for Reach Me, By the Gun, Fading Gigolo, The Humbling. These also appear under Previews, which is where we also get a trailer for Elsa. 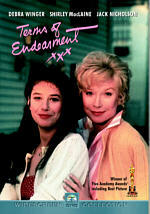 At times, Elsa & Fred threatens to come to life due to the charms of its lead actors. Unfortunately, their efforts usually come to naught due to the trite, cliché nature of the story and characters. 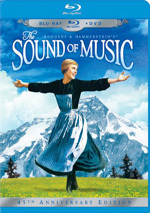 The Blu-ray presents very good visuals and sound but lacks substantial bonus materials. The talented cast deserved better than this tiresome nonsense.